This paper studies the stability of impulsive differential systems when the pulses happen in the random time. Under the influence of random pulses, the solutions of impulsive differential equations become the stochastic processes, so the solutions are far different from the deterministic impulsive differential equations’. In this paper, we study how the random pulses affect the stability of the systems, and then the sufficient condition on P-moment stability is established. Lakshmikantham, V., Bainov, D.D. and Slmeonov, P.S. (1989) Theory of impulsive differential equations. World Scientific, Singapore. Yang, T. (2001) Impulsive control theory. Vol. 272, Springer. Liu, X. (1993) Impulsive stabilization of nonlinear systems. 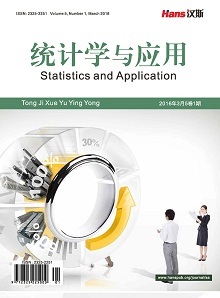 IMA Journal of Mathematical Control and Information, 10, 11-19. Reinfelds, A. and Sermone, L. (2013) Stability of impulsive differential systems. Abstract and Applied Analysis, Vol. 2013, Hindawi Publishing Corporation. Stamova, I.M. and Stamov, G.T. 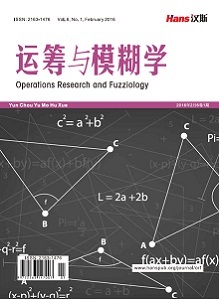 (2001) Lyapu-nov-Razumikhin method for impulsive functional differential equations and applications to the population dynamics. 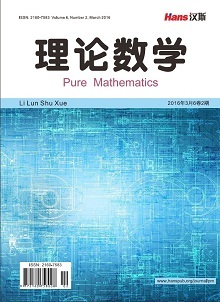 Journal of Computational and Applied Mathematics, 130, 163-171. Kou, C.H., Zhang, S.N. and Wu, S.J. (2002) Stability analysis in terms of two measures for impulsive differential equations. Journal of the London Mathematical Society, 66, 142-152. Hetel, L., Kruszewski, A., Perruquetti, W. and Richard, J. (2011) Discrete and inter-sample analysis of systems with aperiodic sampling. IEEE Transactions on Automatic Control, 56, 1696-1701. Hetel, L., Daafouz, J., Tarbouriech, S., Prieur, C., et al. (2013) Stabilization of linear impulsive systems through a nearly-periodic reset. Nonlinear Analysis: Hybrid Systems, 7, 4-15. Molchanov, A.P. and Pyatnitskiy, Y.S. (1989) Criteria of asymptotic stability of differential and difference inclusions encountered in control theory. Systems and Control Letters, 13, 59-64.